Independent monitoring of a giant Amazon catfish population in the Madeira River, a major tributary of the Amazon, confirms that two hydroelectric dams have virtually blocked the species’ homing migration upstream — the longest known freshwater fish migration in the world. Research completed in 2018 indicates a serious decline in catches of the gilded catfish (Brachyplatystoma rousseauxii) and other key commercial species on the Madeira, both upstream and downstream of the two dams. New monitoring techniques show that the disruption of the migration route raises the risk of extinction for this species, for which researchers have recommended the conservation status be elevated from vulnerable to critically endangered. If the gilded catfish and other migratory species are to survive, mechanisms to assist their migration past the dams must be improved, researchers say. If the Madeira River were a highway, it would certainly be a major route, a central artery, connecting important points southwest to northeast across the Amazon Basin. When its 3,380-kilometer (2,100-mile) length joins the mighty Amazon River, the two waterways link the Andes foothills, Brazilian rainforest floodplains, and the Atlantic Ocean. This connectivity isn’t just important for human commerce. Among Amazon’s great tributaries, the Madeira contributes the most sediments coming from the high Andes. Its nutrient-rich waters, driven by annual rainy season floods, jump riverbanks and spread out through the Amazon rainforest; those sediments are essential to floodplain fertility and to the forest ecosystem. 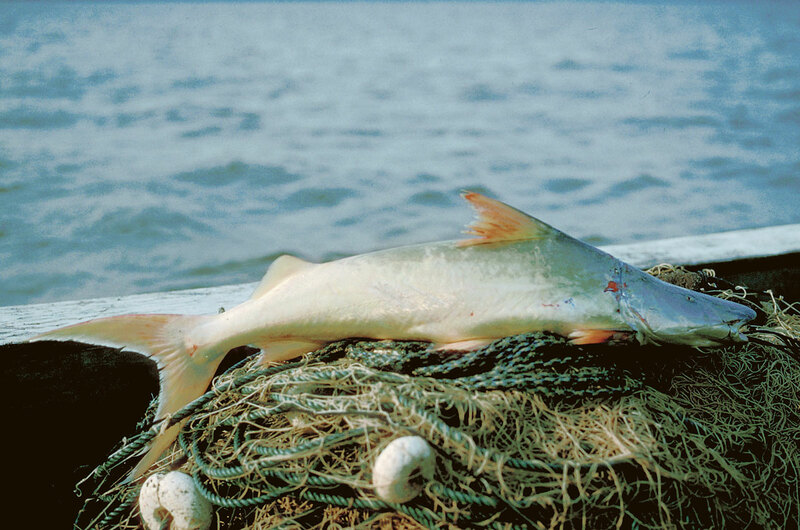 The river’s connectivity is just as vital to fish, and to large-scale commercial and small-scale subsistence fisheries, from the Madeira’s Bolivian headwaters, downstream into Brazil, and to where the river merges into the Amazon east of the city of Manaus. This extraordinary aquatic interconnectivity has generated tremendous evolutionary diversity. About 1,000 species of fish have been cataloged in the Madeira sub-basin, representing a third of all the ichthyofauna found in the entire Amazon Basin. Among the travelers along this magnificent mud-brown highway are migratory fish — capable of going the distance, drifting downstream and striving upstream for thousands of miles to mate, spawn, and live out their life cycles under harsh conditions; they push through heavy rapids and navigate submerged forests, and have thrived for many centuries.